Thistle is the first scotch drink I made after having trouble enjoying some good single malts. All this cocktail drinking has made it hard for me to just drink whisky neat. 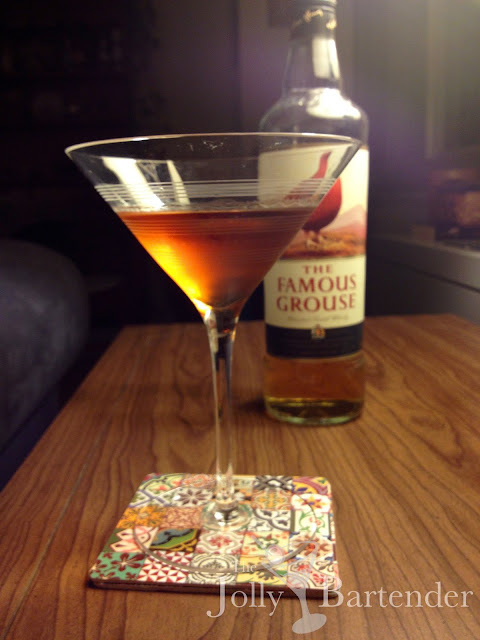 I decided to test my taste buds with a scotch cocktail that is a lot like a Rob Roy except it has a high ratio of sweet vermouth. It made for a very spicy and bitter drink!